THE block of land at the end of Don Cameron Dr will be transformed into Calliope's long-awaited high school to welcome its first students next year. The first sod was turned on the $66 million project yesterday. Education Minister Grace Grace said the school would be built in stages with 200 students in Years 7 and 8 to walk through the gates in 2020. The first stage, a $42.46 million investment, includes the administration building, resource centre and hall. By 2022 the second stage will be completed to allow the school to cater for another 240 students. The school is expected to grow by 100 students per year to eventually cater for 800. It is expected to be "state of the art" with the latest education technology. "This is a magnificent site that was saved from being sold," Ms Grace said. "Now we'll turn this into a state-of-the-art school for the Calliope area." Member for Gladstone Glenn Butcher said with 360 state secondary students living in Calliope, the project was a must for the township. "The Calliope community has been crying out for a high school to service the township for years," Mr Butcher said. "Establishing a high school in Calliope students' own backyard is great news for them and their family." 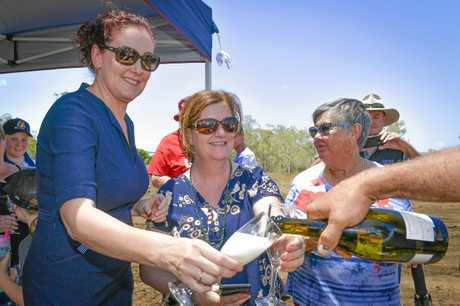 The construction follows a five-year campaign which started when the land was put on the market by the then Liberal National Party Queensland Government in 2013. 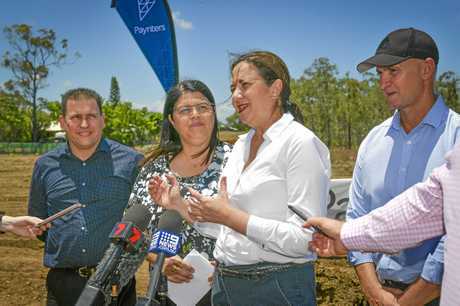 Queensland Premier Annastacia Palaszczuk said yesterday's official start of construction was an exciting milestone. 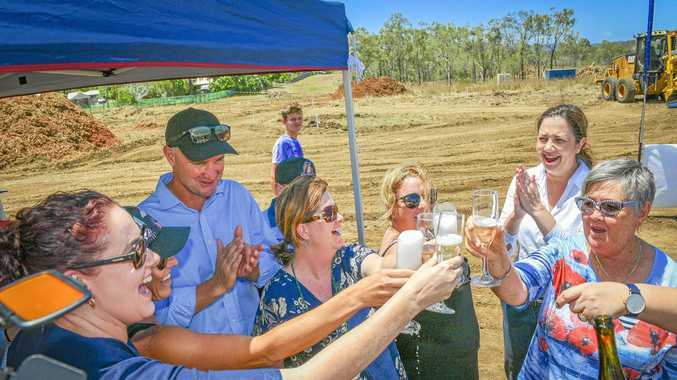 "This school has been a long time coming for the Calliope community and I am so pleased to be delivering on our commitment to build it," Ms Palaszczuk said. Early 2013: Don Cameron Dr site is put on the market by Queensland Government. May 21, 2013: Petition to take land off the market is formally tabled in Queensland Parliament. May 23, 2013: Auction for land passed in due to not reaching reserve. July, 2013: Family Support Walk attracts 300 people to save the land. November, 2014: Gladstone Regional Council forced to rezone proposed high school land site. November 27, 2014: Petition to save school from rezoning is opened. March, 2015: Land withdrawn from sale. January, 2016: Qld Govt promises to build the Calliope high school by 2020. March, 2018: Draft plan completed.